Platelet-rich plasma (PRP) is a modern way to recover from soft tissue and bone injuries or chronic degenerative conditions. It involves extracting your body’s healing growth factors and injecting them directly into your injured area. 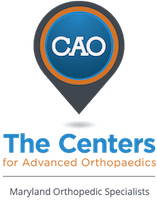 At The Centers for Advanced Orthopaedics: Maryland Orthopedic Specialists Division, James S. Gardiner, MD and Christopher S. Raffo, MD are board-certified orthopedic physicians with extensive training in PRP. They provide treatments in both the Bethesda and Germantown, Maryland, offices. Call or book your consultation online to find out more about PRP. Your blood is primarily liquid, although it does contain small amounts of solid cells and platelets. Some of these components are known for their role in blood clotting when you have an injury. Your platelets also contain proteins that aid in healing. Even though platelets contain hundreds of these growth factors, it’s still a diluted amount. That’s why PRP is so beneficial. As the name suggests, platelet-rich plasma is truly rich in platelets and, by extension, powerful growth factors. The concentration of growth factors in PRP can be up to 10 times greater than that typically found in your blood. By injecting this concentrated formula directly into your injured area, those growth factors immediately start regenerating cells and healing your tissues. A single treatment can help heal tendinopathy, osteoarthritis, muscle strains, and more. Your PRP treatment takes time, but it isn’t too uncomfortable or invasive. The first part involves drawing blood, which is similar to providing a blood sample at the lab. Your practitioner takes your blood and deposits it into a centrifuge, which separates platelets by rapidly spinning your blood. After this “centrifugation” process, platelet concentration increases, and the platelets are combined with the remaining blood. Dr. Gardiner or Dr. Raffo injects this PRP solution precisely into your damaged bone or tissue. The injection causes minimal discomfort, but you won’t have any downtime afterward, so you can go right back to most of your regular activities. When will I notice results with PRP? That concentration of growth factors won’t heal your tissues overnight, but rest assured, they are hard at work. In some cases, you might have slight tenderness or inflammation in the treatment area for the first couple weeks. This is normal, and you can apply ice or heat as needed. Usually, PRP patients start feeling better and noticing an improvement several weeks after their treatment, or after the initial swelling subsides. You should start noticing more of an improvement with each passing day. If you have a severe injury, you might need additional PRP treatments, although you should see a substantial benefit after just one session. Schedule a consultation today to see if you’re a good candidate for PRP. Call either of The Centers for Advanced Orthopaedics: Maryland Orthopedic Specialists Division locations or book your appointment online.